This book provides an innovative approach to meeting the challenges faced by philosophical hermeneutics in interpreting an ever-changing and multicultural world. 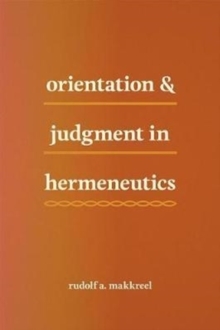 Rudolf A. Makkreel proposes an orientational and reflective conception of interpretation in which judgment plays a central role. 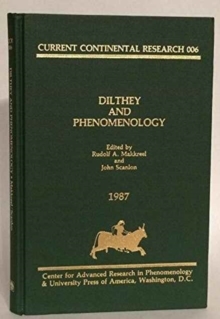 Moving beyond the dialogical approaches found in much of contemporary hermeneutics, he focuses instead on the diagnostic use of reflective judgment, not only to discern the differentiating features of the phenomena to be understood, but also to orient us to the various meaning contexts that can frame their interpretation. 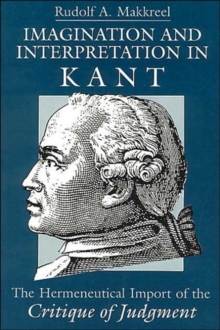 Makkreel develops overlooked resources of Kant's transcendental thought in order to reconceive hermeneutics as a critical inquiry into the appropriate contextual conditions of understanding and interpretation. 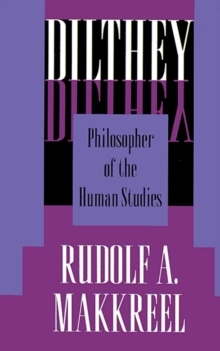 He shows that a crucial task of hermeneutical critique is to establish priorities among the contexts that may be brought to bear on the interpretation of history and culture. The final chapter turns to the contemporary art scene and explores how orientational contexts can be reconfigured to respond to the ways in which media of communication are being transformed by digital technology. Altogether, Makkreel offers a promising way of thinking about the shifting contexts that we bring to bear on interpretations of all kinds, whether of texts, art works, or the world.